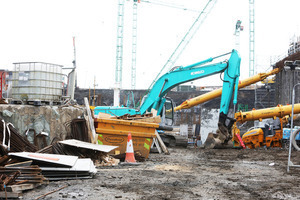 BAM Chief Executive Theo Cullinane said if the board wished to “procure the work in some other way” they will “co-operate with them to facilitate this option”…. 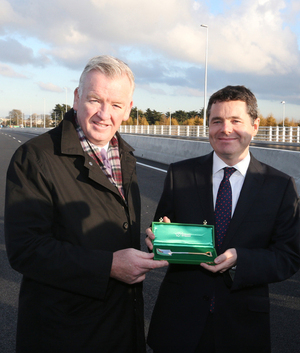 …In a statement, the Kildare-based firm said it did not benefit inappropriately from the tender process for the project. The company said much of the commentary surrounding the tendering process is “based on incomplete and inaccurate information“. The company has also said it has written to Taoiseach Leo Varadkar, requesting him to clarify that comments he made in the Dáil on Tuesday 12 [Low Balls] February were not referring to BAM. Posted in Misc and tagged BAM, National Children's Hospital at 2:34 pm on February 15, 2019 by Bodger. Can they send it to the studio that does all those miniature cooking vids with a note to get into gardening? That spade cost €17 BILLION! I’d say there is a certain truth in what Theo is saying but surely those are the sort of clarifications they should have sought at tender stage? In the real world the answer to that question is yes, but these guys don’t live in the real world. Actually yes, it’s common practice in tender answering to not alert competitors to gaps which can be ignored now for pricing, and added as change later when you’ve won. Ye didn’t ask for it. It makes no commercial sense to build it in now if your competitor prices it in and ends up more expensive. This is what expensive big4 procurement services are meant to catch for you, and there will most like have been a pre consultancy tender won by a big player. Tenders to help you scope the project for tender consultancy, to write the tender for the contractor, who then put out tenders for the ancillary works. 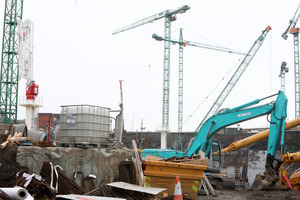 This is what Deputy Mick Wallace said in the Dail this week, and if any one of the 158 in that chamber know about large construction projects, Mick does. 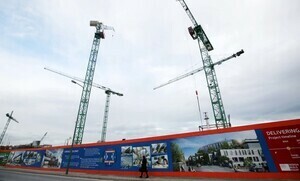 Is BAM about to undergo an Arthur Andersen-type demise in Ireland? “Is BAM about to undergo an Arthur Andersen-type demise in Ireland?” I’m afraid that the answer lies within your question – this is Ireland, it’s not what you know it’s WHO you know BAM will be fine..
Yup. Arthur Andersen’s demise had nothing to do with their Irish operation. cian spends his time on BS defending this government at every turn, I don’t know if he receives any compensation for this role but if he doesn’t he needs to renegotiate his contract. Ok so srt8 up question, if the contractor isn’t the root of the additional costs, who or what is? Quantity Surveyors were on the Board or within the team offices since the Mater? You are saying QS’s were excluded. Makes sense. Frilly are stating a fact that there were no QS? Or are you just wondering were there none? Good question. When i tried to ask that I’m shot down as a shill. I suspect that we’re comparing apples to oranges. The original value that Varadkar mentioned back in 2016 might just have been the construction cost – I’m not sure if this includes VAT. (it may not since the VAT comes straight back to the exchequer) . The latest price that mentioned in the PAC €1.7bn includes everything (and VAT). Jobs for the boys anyone? yea you’re bang on there. Its different when you say it because you are a “shill” for this government. Did the €1.07bn not include the VAT and everything then? If you’re shilling, which I suspect you are, shouldn’t your username be Bob? And is Leokins going back to the EIB for a top up to the loan? Frilly. I know that individual invoices for purchases within a hospital will include VAT. But if the State is borrowing money to pay for a new hospital how much do we need to borrow? The price + VAT or the ex-VAT price? Which one sounds better? I don’t know if the 1.07bn included VAT or not. But nobody seems to know. More like Bob the Builder……. You are definetly not an accountant. We’re not talking about invoices. We’re talking about how much a hospital costs. The State doesnt get a single invoice for the childrens hospital. In the PAC last week the breakdown of costs were all exclusive of VAT, and then the total VAT amount was listed separately. Yep. Nice try Cian. You just happened to put the word ‘everything’ in italics trying to make it seem the increase wasn’t that much. Will the boy Leo say in the Dail that BAM wasn’t who he was referring to? The boys of FG just haven’t a clue on how to behave. The actual shell was €500m approx. the highballing started with the fittings. It’s a little trick used by many contractors. Go in ‘low’ on the shell and make the money on the extras. We’re well aware of their tricks down here in Cork. Leo’s comments aren’t in isolation re the NCH I’d say. I’ve answered a govt tender in me time, albeit not at anything like this scale, and they reserve the right to rule out obviously underpriced tenders if they feel they aren’t realistic. A tender like this should be almost open book and line items gone through by independent quantity surveyors. I’ve never seen a tenderer knocked off for being too low, consultants have recommended the client should but they never listen. Clients just see the low number and go with that even if under the consultant estimate. A billion euros is an enormous number by any standard, even bigger when it refers to taxpayers euros. Anyone care to guesstimate how many taxpayers hours would be needed to generate €1 Billion Euros. Anyway with a large infrastructure project like this, with costs like this, should it not be a legal requirement to publish the budget for the NCH after the tendering process is complete. Would that not encourage good governance and oversight in the first place and prevent this situation where we have a 100% increase currently in the cost. To me that has happened out of either incompetence by public servants or corruption between public servants and contractors. Either of those crimes should be punishable by loss of position and benefits and/or removal from government tender opportunities for life for contractors, at the least. So do we poke around at this for a while and just let it finish, the NCH, and like sheep again, just let some parties rob us of a €1 billion euro on a single project. Or do we insist on seeing the budget, on seeing where and who the increases are coming from, on who signed off on the contracts and the increases. Insist that where possible the original agreed price is honoured and that rules are put in place, to once and for all, stop this seemingly endless pillage of taxpayers money year in and year out. 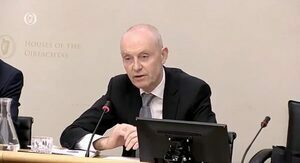 I would also be interested in knowing why Harris is not sacked particularly for holding off on sharing that information with the Dail ( I am sure he did share with Leo and Pascal at least, on the quiet) in light of the upcoming budget that year. Related to that withholding of information we learn that other health projects are losing funding because of the NCH cost increases, should we not demand to know what ones and what level of funding cuts they are talking about and indeed what will be the human cost of these cutbacks. 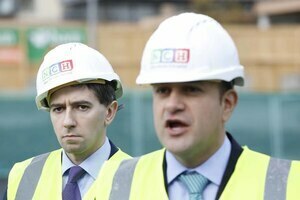 Also what is the spec of the NCH, was it a vanity project for some, could they have gone simpler and cheaper. What are the estimates and plans for funding and staffing the NCH when it is complete, will there be funding for all the departments that they planned for. Will we be able to get enough staff in to maximize its return to the taxpayer and derive a full benefit, especially when it may end up costing closer to €3b than €2b. Will there be empty wards and expensive diagnostic equipment lying idle? Also what are the costs to maintain this hospital after it’s completion, will it be twice what a comparable facility would be in any other country, should there be published data for these costs and are we getting value for money here too or being robbed again. This government and many previous one’s before it ride slipshod over us week in and week out, we let them away with it, week in and week out, is that ever going to end? This NCH controversy, if it proves to be a corrupt process, is a clear example and an opportunity, if ever we needed one, to rise up and say enough is enough. Thanks for reply Frilly and for reading that. I had been saving that up the last while, this NCH crap melts my head, them doing the corruption thing and us doing the feck all thing. With so much inequality, pain and suffering, people across the island needing their government to have their back and they never do, the daylight robbery of a billion makes me angry. If you asked a 100 people on the street if they thought the gov would deliver the NCH on time and in budget 100 would probably say no, and be preceded by a loud guffaw! So we all ready knew there was gonna be some funny business, so predictable, yet we still watch on. Whats frustrating is that there is little sign of that changing in the near or distance future. FG steps out, FF steps in again. Also that Confidence & Supply thing should never have been allowed to happen, it prevents the natural implosion of a poorly performing gov. If anyone is into a bit DIY journalism!